As a consummate traveler, I know how ambitions to see the world can be hamstrung by a lack of money and time. There are so many cities I want to visit – Saint Petersburg, Johannesburg, Sarajevo – that I just haven’t been able to get around to yet. While no substitute, virtual reality allows you to get a taste of what somewhere is like. 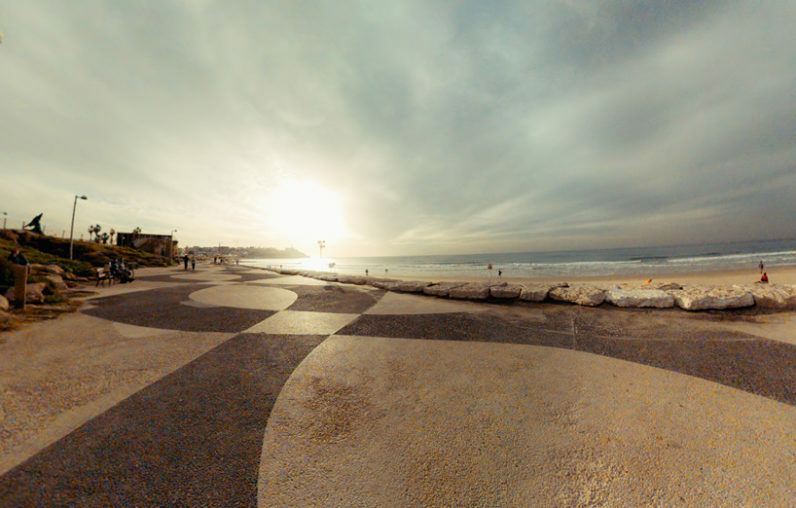 Today, Inception VR kicked off its series of interactive, virtual reality city tours with Tel Aviv – the biggest city in Israeli, and one of the most vibrant party cities in the Middle East. Time Out Tel Aviv City Guide, sponsored by Toyota and the International Hotels Group, is the first of Inception’s city guides. Upon entering the virtual reality environment, you are presented with a local map that shows points of interest. Selecting one of these brings up a video that lets you explore it in 360-degree panoramic vision. There are various different locations to explore, including historical sites, restaurants, beaches, and even nightclubs. “We are happy to present our users with another exciting way to explore Tel Aviv and help them make the most of the city”, said Yuval Sigler, Editor-In-Chief and Publisher of Time Out Tel Aviv. Clips from the guide are available from the Time Out Israel facebook page. But if you want the full experience, you’ll need the Inception app, available for Oculus Rift, Samsung Gear, Android, iOS and Daydream, with apps for HTC Vive and Playstation coming soon. Either way, it sure beats riding the tourist bus.